Gary Barlow’s desire to be part of the Establishment seems to know no bounds. The Take That songwriter has just received an OBE, not unconnected with his services to the Royal Family in organising the Diamond Jubilee concert. Now it has emerged that he has been taking advantage of a tax loophole familiar to many of the wealthiest people in Britain. Legal tax avoidance schemes based in Jersey allow very wealthy people to make arrangements that can reduce their tax burdens to as little as 1%. Reports allege that Barlow, along with bandmates Howard Donald and Mark Owen and the band's manager, Jonathan Wild invested at least £26 million in a scheme run by Icebreaker Management Services. The issue will be embarrassing to Barlow, especially in light of his recent honour. If the allegations had emerged a little earlier, it is questionable whether he would have been considered for an OBE. Prime Minister David Cameron attacked the integrity of those who took advantage of such schemes, even if they were perfectly legal. The PM’s spokeswoman wouldn’t level any specific criticisms of Barlow. "I just go back to the general point about tax, that everybody should pay the right level of tax," she said. "Separately, the jubilee celebrations were a great success and Gary Barlow played a big part in that." After the Prime Minister condemned the morality of this kind of tax avoidance, comedian Jimmy Carr issued an apology for his "error of judgement" in exploiting the tax loophole. 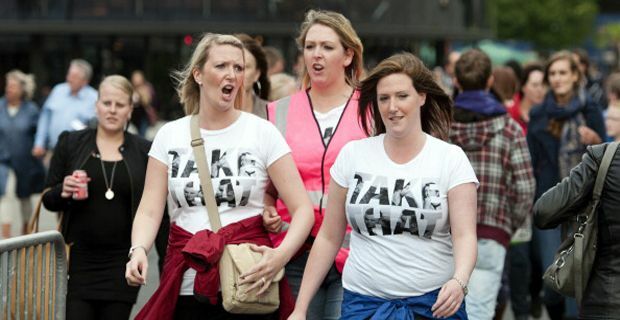 Take That have yet to signal any regrets about their own tax avoidance habits. It only takes a minute . . .